VATICAN CITY (CNS) — Pope Francis phoned a noted Italian theologian to ask him for a “favor” — to help him and Vatican officials prepare for Easter by leading an annual Lenten retreat, the theologian said. “When he told me that he had a favor to ask me, I didn’t hesitate and answered, ‘But of course, go ahead, whatever you need …,'” the priest told his local newspaper, Messaggero Veneto, Jan. 12. He said the pope cut right to the chase and said, “So, we’re starting Sunday, March 6,” but then the pope asked the priest if he wanted “to check your calendar first” to make sure he wasn’t already busy. At that point, Father Ronchi said he didn’t need to check his schedule and accepted the pope’s offer. The annual retreat is expected to take place March 6-12 at a Pauline Fathers’ retreat and conference center in Ariccia, a town about 20 miles southeast of Rome. Father Ronchi, 68, studied at the Sorbonne University in Paris, specializing in cultural anthropology and the history of religions. 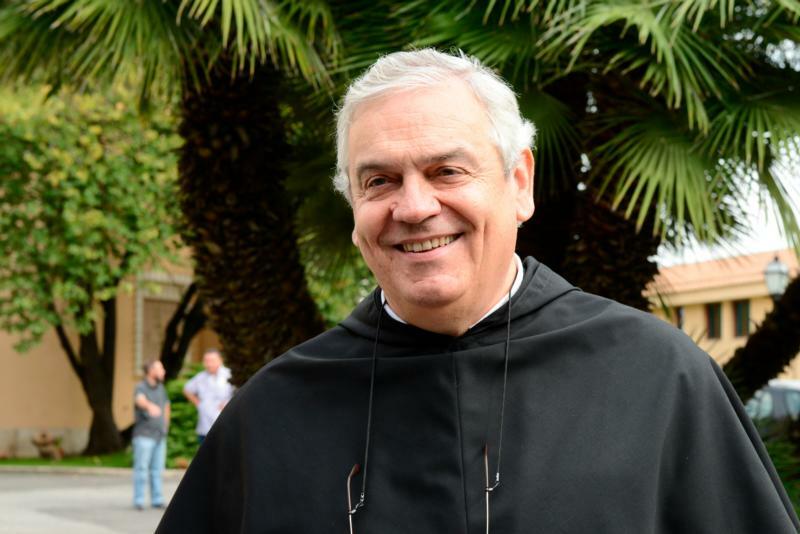 A prolific author, he also teaches theological aesthetics and iconography at Rome’s Pontifical Theological Faculty Marianum, and he’s a regular contributor to Avvenire, the daily newspaper of the Italian bishops’ conference. He also has his own segment on a weekly television program on RAI 1, Italy’s main station, in which he reflects on the Gospel.